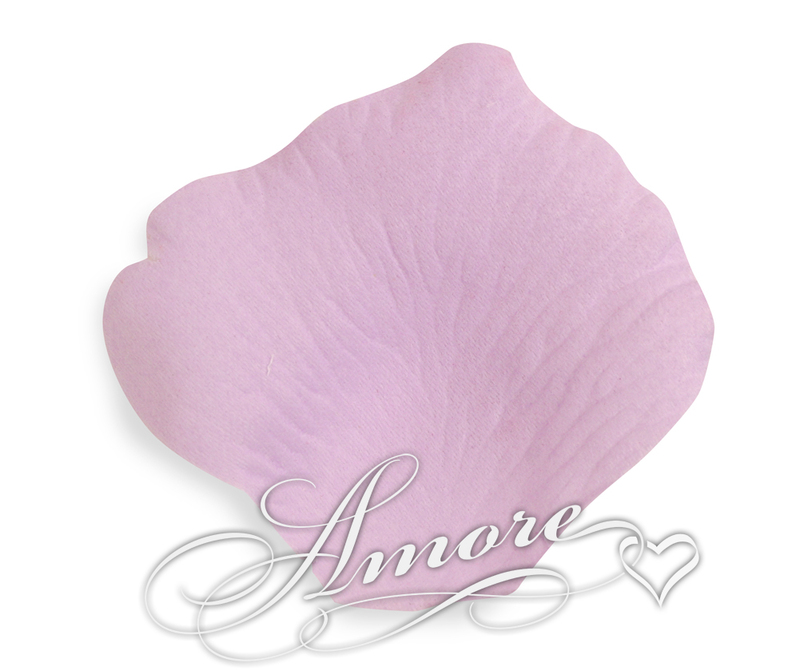 These Silk Rose Petals Lavender are no shrinking violet, they are a true hue of lavender. Rich in color and feel. This will not look white, just pastel and feminine. I can see you walking on a sea of petals. High quality silk rose petals. NO small or sheer petals. Rose petal size is 2 inch H x 2 1/4 inch W.